It may be a little stressful to think about, but the United States is actually still going to be here after November 8 (though everything after January 20 is a different story), which means the White House’s annual National Christmas Tree Lighting ceremony will be held as usual on December 1. 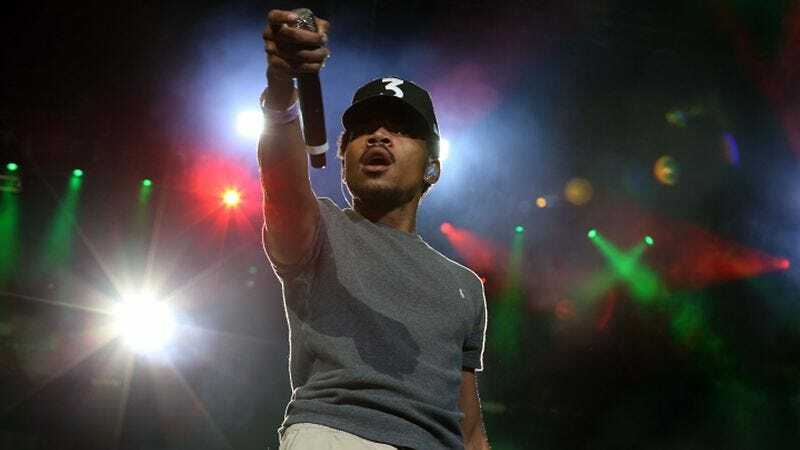 Though it’s generally not the coolest event of the year, the 2016 Tree Lighting will at least have Chance The Rapper on hand to perform alongside Kelly Clarkson and gospel singer Yolanda Adams. That comes from Pitchfork, which reports that a free ticket lottery will be held for the public starting on October 7, and you can get more information about that at the official Tree Lightning website. Earlier this year, President Obama included Chance’s “Acid Rain” on his summer playlist, so maybe he’ll end up doing that one live. It’s not a traditional Christmas song, but you probably wouldn’t get Chance The Rapper to perform at the same event as Kelly Clarkson and gospel singer Yolanda Adams if you wanted him to sing Christmas songs.